Over the years, we evolved and expanded our range, placing consultants in all areas of IT, engineering and professional staffing. To reflect our expanded offerings, we changed our name to SSI. 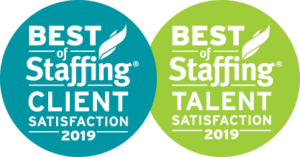 Rather than follow the lead of many temp staffing companies and temp-to-hire staffing companies, we focused on placing consultants nationally, servicing the Fortune 500, emerging growth and state/local government markets. We have built the resources and structure to effectively support MSP/VMS business across the U.S. and Canada. SSI’s mission is to provide outstanding staff augmentation services to our customers. We are committed to being a “Best Place to Work” for our consultants and employees. The letters “SSI” represent our company values. ProfeSSIonal: Our teams are trained to do things the right way, to be honest and open in all interactions with our clients, our consultants, our candidates and each other. ProgreSSIve: We aren’t set in our ways. We are innovative and committed to pushing the boundaries to get the job done for our clients and consultants. PaSSIonate: We care about excelling in our jobs and providing consultants who will do their best for our clients. Nobody will work harder to help you succeed. ExpreSSIve: We celebrate the little wins and remind one another that we are all important parts of the SSI ecosystem. Always saying “thanks” for a job well done is woven into our culture. ASSIst: We help our clients fill critical staffing roles and act as a trusted advisor to our consultants and candidates. Our internal teams support one another. Nobody at SSI ever says, “that’s not my job.” Supporting one another is what we do all day, every day.